Below is a list of all our workshops available for the 2018 Washington Old Time Fiddlers Association – Fiddle Camp. Registration isn’t open until Monday, April 2, 2018. If mailing your application in with a check, please do not postmark before the 2nd. A lot of tunes will be taught. Within these tunes we will work on what technical points we need to learn to make those tunes sound great. EVERY tune itself is a fiddle lesson. We will talk about how to look at a tune from start to finish and recognize what techniques we need to focus on to make that tune sound great. There will be a lot of tips for getting the most out of the practice time you have so you can improve quickly. Prerequisites: Have a basic understanding of how to hold the fiddle, bow and be familiar with how to read tab, or sheet music. 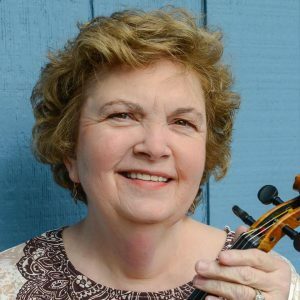 Styles/tunes taught: Bluegrass, old time fiddle tunes, jigs and more! Course objective: We'll work on getting more comfortable with the fiddle, emphasizing proper technique and skills important when playing with other people, as well as learning some new tunes! Materials Provided: A book with tab and sheet music will be provided, along with a CD of the tunes taught. 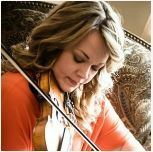 Description: This is a full day Advanced Beginning Youth Fiddle class for students between the ages of 8 and 18. Prerequisite: Basic understanding of your instrument with ability to play a few tunes. 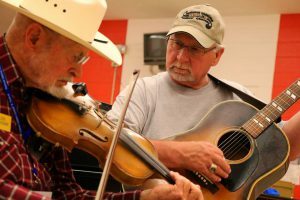 Style: Learn how to play more basic old-time fiddle tunes and some new techniques like twin fiddling, fiddle backup, and many more. Expand your music library with new tunes and techniques to help you play with others. Books and CD's provided please bring stands and something to write with. Prerequisites: Able to (or interested in) learning by ear, comfortable with fiddling basics and playing in a group setting. Materials provided: Sheet music, tablature by request, CD with fast and slow tracks or digital download available before class. Description: This class is for the beginner, who have played mostly in first position, not very familiar with double stops and wanting to expand their playing abilities and styles of music. We will explore the key of G, D, A and C. I would like to introduce you going into 3rd position on a couple of songs... We will also be doing some twin fiddling... Lots of fun learning! Prerequisite: Please have at least one year of fiddling. A good left hand position and a good bow hold is a top priority. We will work on developing a strong bow arm. 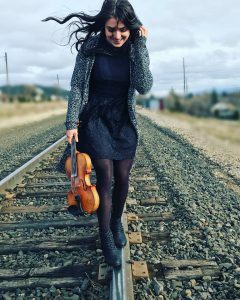 Style: I am a fiddler who likes it all... a jack of all trades :0) Traditional/Old time, Irish, Swing, Bluegrass and twin fiddle will be taught. Materials Needed/Provided: Fiddle and bow in good repair! Recording device... Plus an "I can do it" attitude :0) Music, tab and CD will be provided. Description: Prerequisite: Have at least a year or two of playing experience behind you. Be comfortable in the keys of D, G, and A. Be willing to learn by ear - I am patient and will help you with this. Styles/Tunes Taught: Old-time, French Canadian, Scandinavian Course objective: Learn general techniques, such as the most efficient way to practice, how to stay relaxed and avoid pain, and improve your ear. Learn specific techniques such as using wrist and fingers in bowing, bowing patterns, vibrato, ornamentation, and double stops. Learn to play in a flat key like F or Bb. Bravely explore beyond first position! 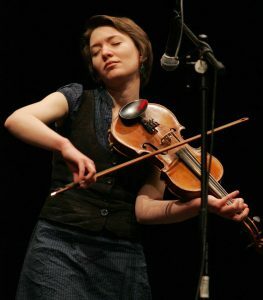 Learn a little about second fiddling - how to create accompaniment and/or a harmony line. Learn a varied repertoire of tunes by ear. Materials Provided: Mp3 recordings of all tunes taught. Book with music printed in notation - however, this will not be distributed until end of the week, as I want to focus on playing by ear. Prerequisite: Be able to play at least some hoedowns at dance tempo in the common keys and be enthusiastically ready to learn more either by ear or by note. Style: Traditional dance tunes for old time square, couple and contra dancing in a generally Northwestern style: Jigs, Reels, hoedowns, rags waltzes, two-steps, schottisches etc. 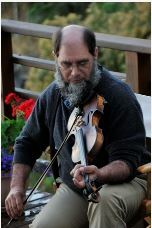 Many of the tunes were learned from the older fiddlers of our region. To not only teach repertoire useful for dances and jam sessions but details of style that make it so much fun; techniques for rhythmic accuracy, drive and phrasing; music theory you can understand and use; a deeper grasp of intonation. CDs or digital downloads of the music, tune transcriptions (color coded TAB if requested), handouts handouts and more handouts. Prerequisite: Experience playing tunes, scales and arpeggios or chords in keys of A, D, G, C, Bb. Very familiar with common jam tunes. Comfortable leading or soloing personal favorites. Willingness to learn without printed music (provided last day). Style: The variety of styles taught will include oldtime, contest, bluegrass, celtic and Canadian. There will be 12 lovely tunes, including a jig, rag, polka, swing, 2-step, hoedown and waltz. Teacher provides detailed demonstration of bowing patterns and bow direction for students to emulate. 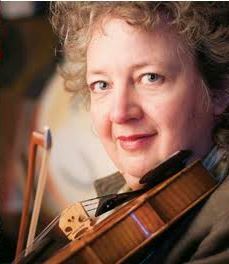 To give students an opportunity to practice learning fun new tunes directly from an experienced fiddler. They will rely on their ears AND eyes to master phrase at a time in a wholistic way. Skills learned this way allow them to access tunes and musical expression not available in printed form. Music learned by ear is retained better than music “memorized”. The essential fiddler’s skill of playing by ear will be improved through practice in this supportive setting, with a moderate pace and plenty of repetition. Printed transcriptions of all tunes provided at end of week for continued learning at home. A digital recording of instructor playing the tunes will be made available for downloading; CDs can be made for those who prefer them by contacting instructor in advance. Prerequisite: Ability to play intermediate level tunes (for instance Turkey in the Straw, Tennessee Waltz, Redwing) up to dance speed and with nice tone. Styles/tunes taught: At least a dozen tunes, mostly from America, Canada, and the British Isles, and possibly one from Europe, appropriate for old time dancing, including waltzes, hoedowns, reels, polkas, and two-steps. There will be a couple of easy tunes and a couple of pretty challenging ones; the rest will be somewhere in between. We will be picking each tune apart phrase by phrase, so you can learn them by ear and don’t have to be a note reader. 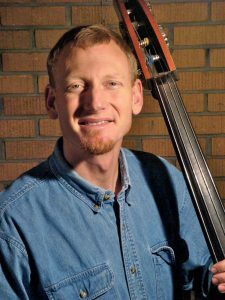 Course Objectives: Playing with authority, which requires solid rhythm, appropriate dynamics, and a reasonable tone: all of these can be achieved by proper control of bowing. Thinking chordally to help develop the ability to &quot;hear&quot; chord changes, for playing backup on the fiddle, finding harmony parts, and improvising over a chord progression without relying on memorized licks. Making scales and arpeggios automatic to facilitate intonation, finger dexterity, improvisation, and picking up new and more technically advanced tunes. Becoming comfortable with position playing, and playing in challenging keys such as B and B flat, using the &quot;first finger capo&quot; technique. Using bowing patterns such as the "Nashville Shuffle" and the "Georgia Bow"
Materials Provided: Packet of written music (no tab) and CD. Prerequisite: Student should be able to play in 1st, 2nd, 3rd, and 4th positions. Student needs to be comfortable playing double-stops because I will teach tunes that have whole sections/parts in double-stops. Student MUST be able to learn by ear and/or tab. Most tunes will be taught with tab and a few taught by ear. Style: Texas style, Swing, Bluegrass, Twin Fiddle and Celtic. To play many different styles of music, have fun playing and push yourself to be a better musician. Necessities: Guitar, strap, Picks, tuner, folder for papers, and recording/video device. You will be taught basic tunes to help back up basic tunes such as Boil the cabbage, old joe clark, sweet marie, etc. By the end of the class you will have the knowledge to chords such as A B C D E F & G, also you will know the different strum patterns from ¾ rhythm to 4/4 rhythm. Necessities: Guitar, picks, tuner, folder for papers, note book, something to record with, a basic knowledge of the chord A B C D E F G with some knowledge of a basic 145 chord structure (Will go over in class though so don’t worry if you don’t), and any & all questions you have to bring. You will be taught basic Texas Style and Bluegrass back up. I will also build up your chord knowledge by Adding 7’s and minors (if already known great!). This class is help you enhance the tone of your guitar by increasing your play ability. Prerequisites: Some familiarity with playing chords smoothly. You will be learning all new chords if you have never played closed, swing chords before. Course objectives: Want to unravel the circle of 4ths and 5ths? This introduction to Swing Guitar will teach basic theory as applied to standard swing, western sing and blues tunes. It is primarily a rhythm guitar class. We will start with basic open chords, learn some closed and moveable chords and even passing chords. We will learn key, chord and tune structure. You do not have to read music. We will be using chord charts. Materials provided: Music for tunes covered in class, including chord diagrams, and a practice and source material CD. Prerequisite: Ability to play basic chord formations in A, C, D, E, & G comfortably. 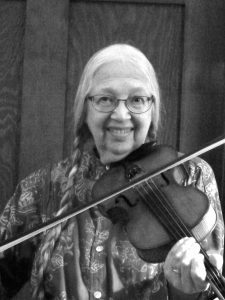 Styles/Tunes Taught: Most fiddle tunes: Hoedowns, Jigs, Waltzes, Rags, and others. Course objectives: We will learn bass runs from the beginning including 1,2,3,4, & 5 note runs into other chords in all the basic keys. 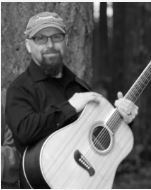 We will explore dynamics of what makes a good back up musician, including chord positions and substitutions, and rhythm styles. Explore how to play in a jam and figure out what the next chord is likely to be even if you don’t know the tune. Materials provided: Numerous printed tunes and practice CD. Suggested Equipment/Gear: Acoustic guitar, strap, tuner, capo, picks. Optional: Music stand, recording device. Prerequisite: Ability to play some chords, and pick through C and G major scales in first position at a minimum. Closed chords (Bm, F, etc), and ability to pick some tunes will help for the more advanced material. Style: Exercises on cross picking, double stops, slides, hammer-on and pull-offs and learn a few tunes. PreRequisites: As the title implies, there are no prerequisites to this class other than a mandolin and a desire to learn more about the instrument and how to play it. Styles: This class will begin with the mechanics of playing the mandolin, including concepts and exercises aimed at developing correct left and right hand techniques. Along the way we’ll also be learning some simple tunes and chords that will reinforce these ideas and allow you to begin developing your repertoire of melodies and songs to provide a solid foundation for the study and practice of the mandolin. CD, Musical notation and tablature provided. The ability to play some simple tunes would be foremost among the requirements for this class. This would imply some familiarity with the fingerboard in the first position as well as knowledge of a few simple chords to accompany these tunes. 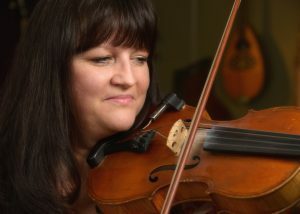 We’ll concentrate primarily on learning more tunes from the old-time fiddle repertoire using different keys to illustrate concepts concerning position, technique and execution. Supporting exercises and some very basic music theory will also be presented to provide a strong footing for advanced beginners to raise their playing to the next level. Bluegrass, Old Time, Fiddle Tunes. 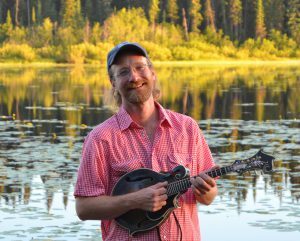 In this course you will learn the mandolin’s role in bluegrass and old time music, and learn how to keep up in an intermediate jam. We will focus on both the right and left hands individually, and then work on combining them. We will also focus on the chord structures that every mandolin player should know, and how to apply them in a jam setting. I am open to what you all want to learn so bring ideas! TAB for multiple songs with chords; CD with some of my favorite mandolin players and songs to give you something to listen to and work towards. 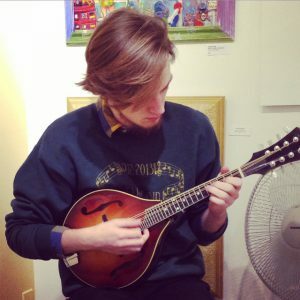 This is a full-day Advanced Mandolin class taught by Matt Sircely. Either an ability to read notation and/or tablature at an intermediate level, or an ability to learn quickly by ear. Students should be willing to integrate new chord shapes, and/or focus on elements of technique. Students should be comfortable in a class that moves quickly. Swing, Bluegrass, Folk. Perhaps something from elsewhere around the world. This will be a fast-paced, entirely hands-on class. Songs, melodies, and concepts of harmony will illuminate elements of mandolin fundamentals related to technique, timing, tone, speed and clarity. 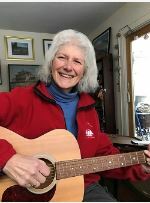 The songs, melodies and variations introduced will encourage students to map the fretboard in different ways, often leading to new ideas for chord shapes or improvisations with rich harmonies. The workshop intends to identify areas for improvement among individuals, and to introduce and employ strategies that support self-improvement over time. Prerequisites: You will need a 5 string banjo, banjo strap, capo and music stand. No experience is necessary. 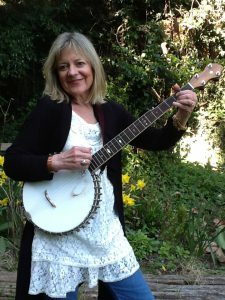 Style: The specific genre of Old-time banjo, with its strong rhythm and unique right hand technique will be taught. Most of the tunes we learn will be standard fiddle tunes. We will also cover different banjo tunings. We will start with up picking so that you can establish rhythm before moving on to frailing. This class builds on what was covered the previous day so that by the end of our session you will have the knowledge to work on your own. It would be extremely difficult to master this class in such a short time so I like to think of it as a year long process. I emphasize tablature reading and a consistent 4 beat right hand technique. You will receive a booklet of tunes written in tablature for you to practice on your own. Prerequisites: You should be able to read tablature, be comfortable with standard frailing technique and play chords in different banjo tunings. Style: This class has an emphasis on frailing and drop thumb right hand technique. We will play standard fiddle tunes in various banjo tunings. Students become more confident in their playing ability and will increase their repertoire by being able to read other people's tablature written for banjo. Have a bass, know the strings names and how to tune it. At this point you're almost ready for a paying gig! Ability to read music is helpful but not required. In this course you'll learn how to be appreciated when in a jam and someone yells out "Hey does anybody know how to play bass? I've got an old one in the garden shed." We'll learn the fundamentals of good bass playing, how to avoid being the bass player nobody asks back, and how to survive when someone kicks off a fast swing tune. 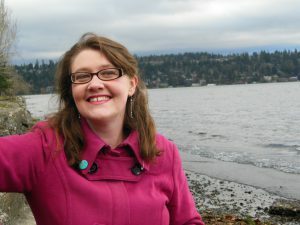 If time allows we'll also learn how to take the dreaded solo break and come out smiling. Pattern chart, tips and tricks. Practice cd. 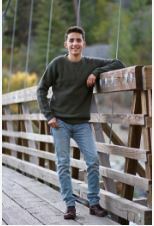 Class description: Join us for music, movement and other activities! We will sing, dance, and read stories, among other things (I'll figure out exact activities once I see the general age range of my students). The purpose is to have fun and learn a little about music in a very low-key environment. If your child is toilet-trained, you can take your own class while they're with me (I'm a certified teacher). If you would like to stay, you are welcome to do so as well. If your child needs help toileting, please stay with your child. Prerequisite: I'm designing this class for preschool - grade 2; however, any person who would enjoy spending a morning in music-based play is welcome!